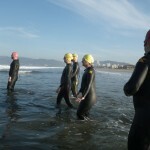 The Ocean 101 | An LA Tri Club ocean swim clinic. 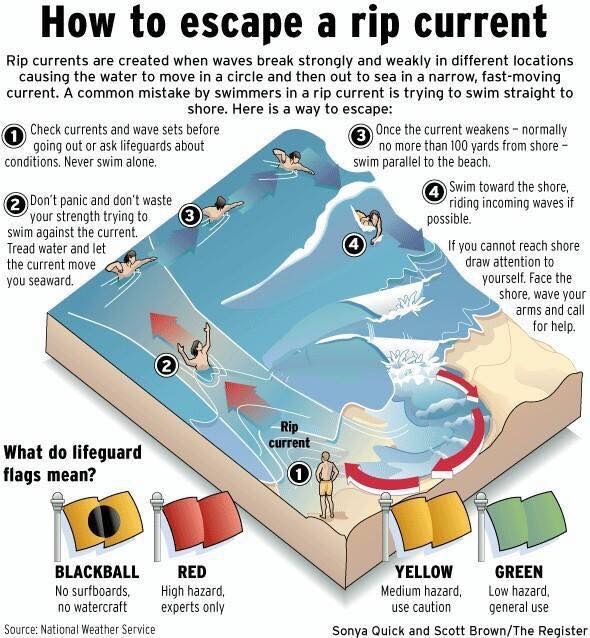 Give this article a read from June 2016 – ““If you can relax—and it’s a long time, for maybe three minutes—you’re generally going to float back to the beach,” MacMahan says. What our clinic looks like. and only a little bit sarcastic. 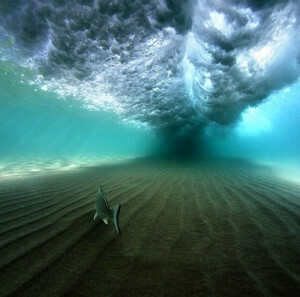 Here is a beautiful photo showing why we want you low and under the waves where it’s calm! Recently we found these handy guides discussing rips, how to identify them, and what to do in case you are caught in a one. The Ocean 101 v2.0 begins May 26, 2015! 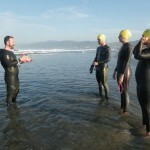 Free for all LA Tri Club members, the Ocean 101 v2.0 is a one hour clinic teaching the fundamentals of ocean swimming including entry, exit, and open water navigation. 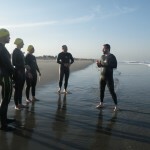 Participants will get instructions on land followed by practice diving through the break, navigating in open water, and returning to shore. 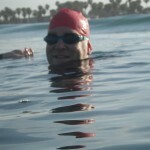 If you are a capable pool swimmer and want to make the leap into ocean swimming this is the clinic for you. 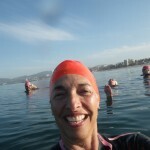 The clinic provides foundational, hands-on instruction to equip people to join Club group open water swims and coached workouts. An aerobic base is necessary. Participants must be able to complete a 1,000 yard/meter pool workout including 300 yards/meters freestyle nonstop. 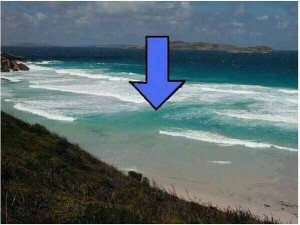 Wetsuits mandatory. No surf suits or spring suits. Sleeveless are acceptable but discouraged. 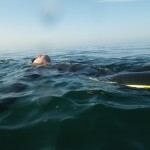 You may rent a wetsuit at a Club sponsor or borrow one from a friend. Bring goggles that you’ve used and that fit. We will provide a bright swim cap. We walk to the beach at 6:45am sharp. 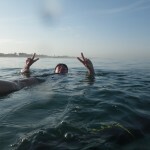 Arrive early enough to park, feed the meter, and be in your wetsuit ready to walk to the water by 6:45am. We do not teach you how to swim and we are not lifeguards. Participation is at your own risk. Clinic is limited to 8 members per session. If you are wait-listed, watch the RSVP page for updates. Please use the Club’s RSVP system. Do not email RSVP requests. Members who RSVP and do not show up for the clinic may not attend another 101 clinic for the year. 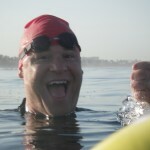 Begun in 2005 by Tim Bomba and Steve Herbert, the Ocean 101 has taught hundreds of people the fundamentals of open water swimming. Now coached by Brian Morri, Chris Rosien, Max Miller, Sherry Winston, and Stuart McDougal, the new Ocean 101 v2.0 can function as a smooth onramp to the other Club swims and coached workouts.